Drinking Waters is known for having South Africa’s largest selection of various indoor wall mounted fountains. Our indoor drinking water fountains fit perfectly in any space. Whether you need a water fountain at schools, gyms or factories, we’ve got you covered! You can be sure to trust Drinking Waters to provide you with quality water products and effective services. 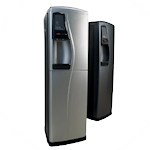 Invest in a water cooler with us and experience efficient and easy accessible drinking water. Our water fountains contain a bubbler and/or a swan neck glass filler. This ensures that you are easily able to re-fill sports bottles. Having a water fountain is healthier than a soft drinks vending machine. It is cost effective and your hydration solution will be sorted. The installation process is hassle free. A mains water supply and drainage facility are needed to install your drinking water fountain. 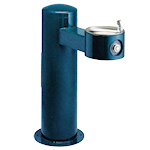 Our quality drinking water fountains are made from robust stainless steel. It has been designed this way to withstand and handle high usage environments. Drinking water fountains come in a number of sizes, shapes and with an array of functionalities enabling them to fit into any environment. We aim to provide quality products and services to our customers. We also aim to meet all our customers’ hydration expectations. We offer to install your water fountain at any height according to your recommendation. This makes it easily accessible for all, no matter the height. Best of all, we are able to offer remote chilling units. These units are connected to the fountain. With this type of installation, it is able to provide up to five litres an hour of chilled water as well as up to sixty litres an hour.